Threelac Review, The Clinically Proven Yeast Eating Probiotic, Or Not? For this Threelac Review I am going to point out the good and then will get to the lowdown dirty truth about Threelac. Threelac was discovered in Japan and is a lemon-flavored, nutritional-food supplement composed of three spore forming Bacteria: Bacillus Coagulans, Bacillus Subtilis, and Enterococcus Faecalis whose only purpose in life is to find and eat candida yeast or so they claim. Imagine little pacmen traveling throughout your digestive tract chomping away at candida and yeast, effectively killing it while it screams in agony. Candida yeast is defenseless against the onslaught of Threelac. These good bacteria never rest in their mission to scour your digestive tract in search of their next meal....yeast. Threelac is micro-encapsulated so these yeast-eating live bacteria get by the stomach acids intact to search for their next meal. These bacteria are also lactic acid producing and lactic acid has been found to reduce reactions to allergens and raise immune system function. It has also been said that lactic acid kills harmful microbes such as yeast. Other studies done on lactic acid foods have shown it increases iron absorption in the body, improves blood sugar control and decreases cancer risks. You can do some research on the Internet about Threelac and you will come across glowing testimonials, and people saying it is a scam. The scammers will say that it is 10x cheaper in Japan where it is made. This may be true and I suppose if you were willing to take a plane or boat ride to Japan you could buy it cheaper. But what they don't understand is someone has to pay to ship it to the U.S. Then possibly pay tariffs and taxes as it arrives at customs. Then someone has to pay to store it in a warehouse and pay employees to fulfill orders. So of course it is going to cost more than it does in Japan! They will also say it makes people sick. Now some people do experience cleansing or die-off reactions when they take Threelac. This is normal, and if they think for one minute that they can correct possibly years of bad eating habits or correct the effects of the extended use of antibiotics, they are not living in the real world. When the body detoxifies you can get uncomfortable and have flu like symptoms as the body gets rid of all these toxins. Things can get worse before they get better. They also will say how can this be a good candida yeast product when one of the ingredients is yeast? That is because they have to put some inactive yeast in the container to keep the bacteria alive before it reaches your intestine. Or... would they prefer to buy dead bacteria. Threelac has been in use for over 7 years and there have never been any complaints to the FDA or any cases where it has hurt someones health. Or has there? Gary J. Shima MD at the Health and Longevity Institute who has stock options from Global Health Trax; ran a clinical study on real people that had tested positive for candida, and had candida antibodies present within their body's. This is what he had to say about Threelac and their results. They say special diets are not needed with Threelac and this is probably true for some people. However, if you did follow the diet you would have much faster results. I guess it all depends on how fast you want to get well again. "I had candida for many years. Last year it got so bad that I was in bed for two months, hardly able to function. I went to five or six doctors and had a lot of tests done at a cost of $10,000. They found nothing. Finally, one doctor put me on Nystatin. It covered up my symptoms but didn't get rid of the candida. I was supposed to be on it for two to six months, but got severely sick whenever I tried to wean myself off it. I was told to never go off Nystatin "cold turkey" or I would get candida back three times as bad. I took Nystatin for 11 months." "I started taking Threelac on April 30, 2002. I took myself off Nystatin "cold turkey," and never felt sick or had adverse reactions. Eleven days later the candida was completely GONE! I feel better than I have in years." "Threelac is very easy to take, and it tasted fine! I took Threelac twice a day, once in the morning and then about 12 hours later." "Thought you might like another testimony re Threelac. It REALLY works. I went to doctors for two years and was never told there was such a thing as intestinal candida! I was getting more sick every day and confined at home. I had all the classic symptoms--diarrhea, psoriasis, anxiety, and even hair loss. My doctors gave me special diets and steroid creams that did no good. Finally, I heard about candida on TBN, then ordered Threelac on line. In only THREE WEEKS my bowels were normal, my skin rash disappeared, my anxiety is much better, and my hair loss has decreased. (Am hoping it will all grow back.) That was three months ago and I am still well. I also take acidophilus--both are inexpensive compared to products that don't work. I feel like I have been released from prison. Hooray for the Japanese researchers who developed Threelac!" 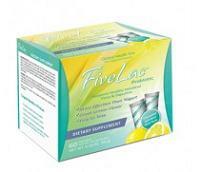 "Just wanted to let you know the Threelac Candida Defense product is truly a miracle product in my opinion! I have been using it just under a week now and have already seen amazing results. My skin is about 70% cleared up already which usually takes at least a month to six weeks on just a Candida diet! (I have been battling Candida approx. 10 years now). I am amazed with the results of this great product and have already ordered more. My 14 month old daughter has had great results as well". "I just wanted to let you know that since this email, I have increased the dosage to 2 packets a day and am feeling fabulous. This is really great stuff, and the end of a long 11 years search for me. Threelac does not establish new bacterial colonies in the intestine. 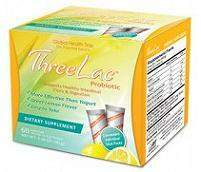 Threelac sounds like a miracle product for candida yeast doesn't it? When Threelac originally came out about 7 years ago, it contained three species of spore forming bacteria that eat yeast and candida. They are lactobacillus sporogenes, bacillus subtilis, and streptococcus faecilis, which is not to be confused with the streptococcus bacteria that causes strep. They are two different species of bacteria. Years later Threelac said it was made from bacillis subtillis, bacillus coagulans and enterococcus faecalis because the scientific community reclassified them. So Threelac was originally made from lactobacillus sporenges, bacillus subtilis, and the safe strain of streptococcus faecilis. 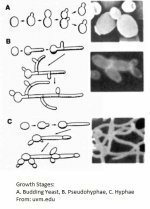 The names changed to bacillis subtillis, bacillus coagulans - another name for lactobacillis sporogenes, and enterococcus faecalis - another name for streptococcus faecilis. The problem bacteria seems to be enterococcus faecalis and it is enough of a concern that the Australian Department of Health and Aging has labeled it a serious health hazard in Australia. Basically the findings said this: Members of the meeting noted that a consultant (Natren) noted that this bacteria was not of low risk, due to its implication in transfer of antibiotic resistance in a hospital context. "Natren said that bacillus coagulans or lactobacillis sporogenes, bacillus laterosporus, enterococcus faecalis, and enterococcus faecium should not be permitted in therapeutic goods on safety grounds. Natren claims that E faecium and E faecalis are able to acquire antibiotic resistance and is a common opportunistic pathogen in U.S. hospitals." Natren was asked to provide scientific evidence to prove what they said but it appears they never did. The Australian government has issued health warnings concerning enterococcus faecalis, and enterococcus faecium. Since that meeting in 1998 the Australian Department of Health and Aging has approved new drugs in 2005 to combat infections caused by enterococcus faecalis. As of September 22, 2008; Australia has approved enterococcus faecalis and enterococcus faecium as starter cultures. The Canadian government has listed enterococcus faecalis as a health hazard and infectious agent. They claim enterococcus faecalis is responsible for 9% of bacteremia infections, 16% of urinary tact infections, and 5 to 15% of bacterial endocarditis infections. There is an article about enterococcus faecalis and bacterial endocarditis here as well. The New England Journal of Medicine has this to say about enterococcus faecalis. "Although Enterococcus faecalis was once regarded as nonpathogenic, this opportunistic gram-positive coccus now ranks among the most troublesome hospital pathogens. It has intrinsic resistance to many antibiotics and a remarkable capacity for developing resistance to others (x17,160)." There is a picture at the above link if you care to see it. The Doctors Guide confirms they have linked this bacteria to mortality due to enterococcal bacteremia and is the third largest cause of hospital infections. It also causes urinary tract, abdominal, pelvic, and neonatal infections. On the positive side if you want to call it that. The Channing Laboratory, Brigham and Women's Hospital, Harvard Medical School, Boston, MA, USA say that; "Enterococcus faecalis is part of the normal gastrointestinal flora in humans". And according to Division of Infectious Diseases, Dept. of Medicine, University Hospital Freiburg, Hugstetter Str. 55, 79106 Freiburg, Germany. "This species does not cause infections in otherwise healthy persons. Well guess what folks? If your suffering from chronic yeast your not a healthy person". So, the University Children's Hospital, University Hospital Schleswig-Holstein, Campus Kiel, Germany says; "Enterococci can cause serious and sometimes life-threatening systemic infections, especially in immunocompromised patients". The entire study can be read here. Another study performed at the Institute of Animal Physiology, Slovak Academy of Sciences, had this to say. "All strains were sensitive to vancomycin, ampicillin, penicillin and chloramphenicol. Thirty-three percent of strains were resistant to erythromycin and 28% to tetracycline. Among 40 isolates, 75% showed a broad inhibitory spectrum only against Gram-positive indicator bacteria. Seven strains with broad bacteriocin activity were selected for further assays. In the presence of 1% bile, the survival rate of selected strains ranged between 72 and 98%. Survival of strains at pH 3.0 was found in the range between 76 and 87% after 3 h. The adhesion of the tested strains to intestinal mucus ranged from 4 to 11 % for canine mucus and from 5 to 8% for human mucus". A study published in the American Journal of Clinical Nutrition, Vol. 73, No. 2, 365S-373s, February 2001 said this. "In Germany, species such as L. rhamnosus, E. faecium, and E. faecalis have been grouped into risk group 2, ie, potential pathogens. The investigators responsible for this classification, however, concede that strains of these species with a documented safe history may belong to a risk group 1 (ie, species constituting no risk). Such strains that have found application in food fermentation's or certain probiotic products for a long time are considered as safe." Bacillus coagulans or lactobacillis sporogenes and bacillus laterosporus have been used millions of times with no reported ill effects for years. One of the claims to fame of spore forming bacteria is they survive the stomach acids intact. They are also for the most part soil based bacteria, and we have been indirectly consuming them for millions of years with no ill effects until modern times and our new sterilization techniques. Enterococci and several other species of lactic acid bacteria are used for starter cultures in dairy products and are also marketed as medical probiotic preparations to enhance the host immune response. In these applications, the safety of the bacteria used is critical. Strains with applications in food products should not contain known or putative virulence factors or antibiotic resistance traits. Enterococcus faecalis is a bad bacteria just like e. coli that we all have in our intestine. Our good bacteria keep them under control so they don't make us sick. However, when we get dysbiosis or an imbalance in the intestine, they can infect us as they grow out of control. I think that Threelac's success is because enterococcus faecalis is a candida competitor and feeds on it because it is basically waste just like it is. How else could you explain it? Many people swear by it and others say it has made them sick. People also want a quick fix and want to take the easy way out when they are ill with anything. Threelac gave many people that result but they really weren't taking control of their health and its long term needs. When you have candida or chronic yeast infections you have serious problems. It indicates a breakdown in the immune system and a persons overall health and generally it took years to get to that point. It can take a while to get things back to normal. Please understand I am not picking sides here. I am only presenting both sides of the story so YOU can decide. In any case Threelac will be much more effective when taken with BioFase than just by itself. If you want to buy Threelac I have found Amazon to have the best prices, I do believe you can buy it at cost. You can also get Fivelac at Amazon for the same price. Fivelac is stronger than Threelac. I am not so sure that is a good thing considering what I have talked about above, but some of you will take it any way. Note: I have received numerous emails from different people on the conflicting reports of the safety of Threelac and spore forming bacteria along with soil based bacteria. I welcome the feedback but I do request that you also send the supporting medical proof when submitting your information. Just like what I have listed above for references from various governments and peered reviewed journals. Thank You! If you have any questions about Threelac, please feel free to contact us from the contact page of this website.